August is the perfect time for us #Breadbakers to play with peppers-all sorts of peppers; sweet, hot, pickled, black, it’s all good. 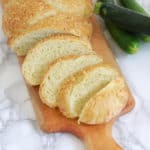 I love hot peppers so I created a recipe for Jalapeno Sourdough Corn Bread. I love to bake hot peppers into bread. 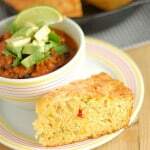 The starch in the bread tames the chili heat just enough to let the flavor of the particular pepper come through. 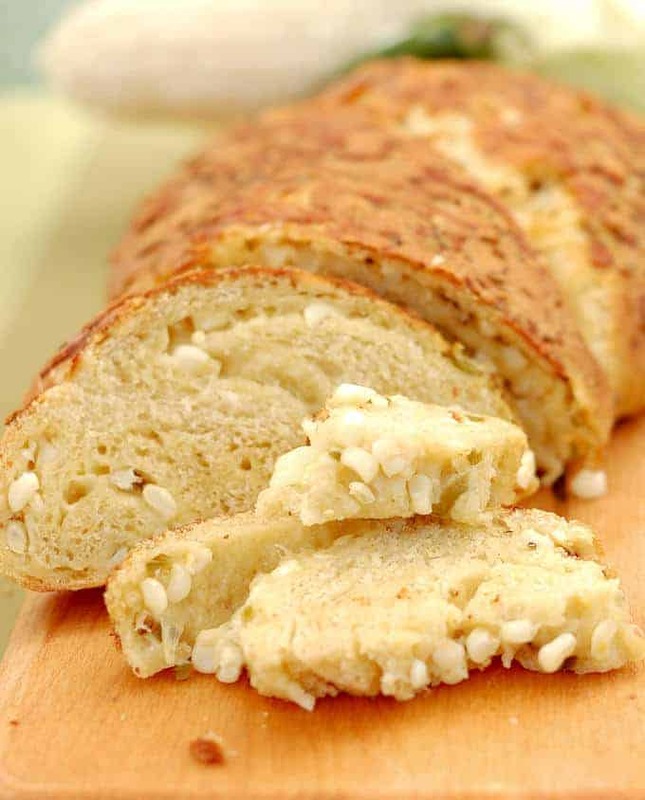 This bread would also be delicious made with habanero, or any other hot or sweet pepper. I just happened to have a bunch of jalapenos in the refrigerator from our farm share so that what I used. 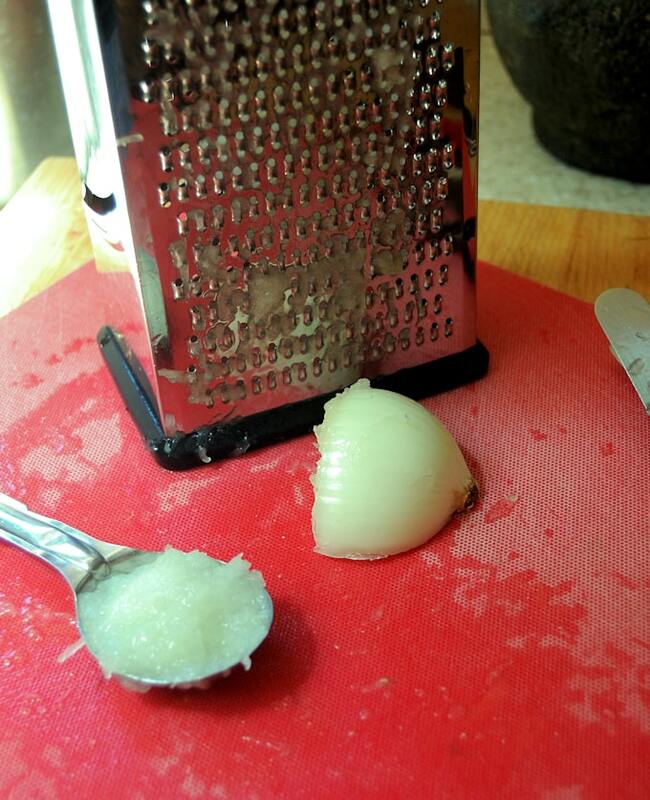 Use the small side of a grater to make the onion pulp. You could also puree the onion in a small food processor. Cut the log in half and pinch the ends closed. 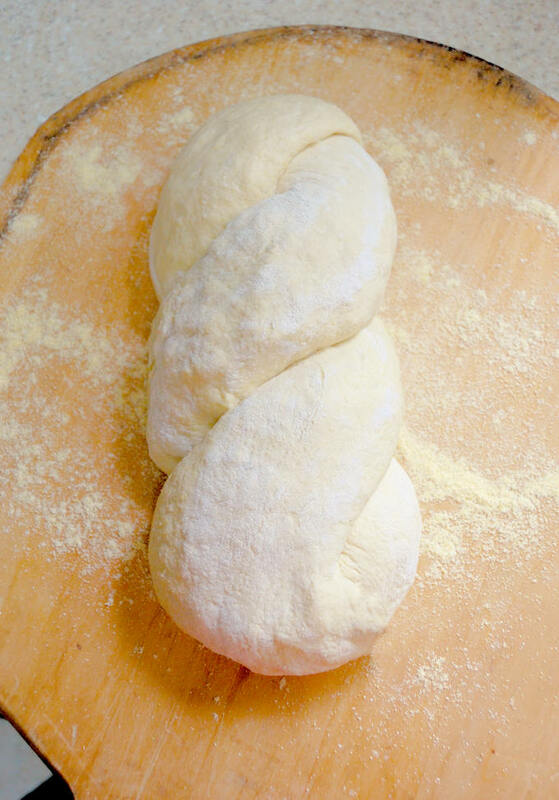 Twist the two pieces together to form a twisted loaf. The flavors in this bread are just natural together. Peppers and corn are both in season, and everything is better with cheese, right? I added the cumin seeds because, well, because I just love them. This is not a light and airy loaf of bread. 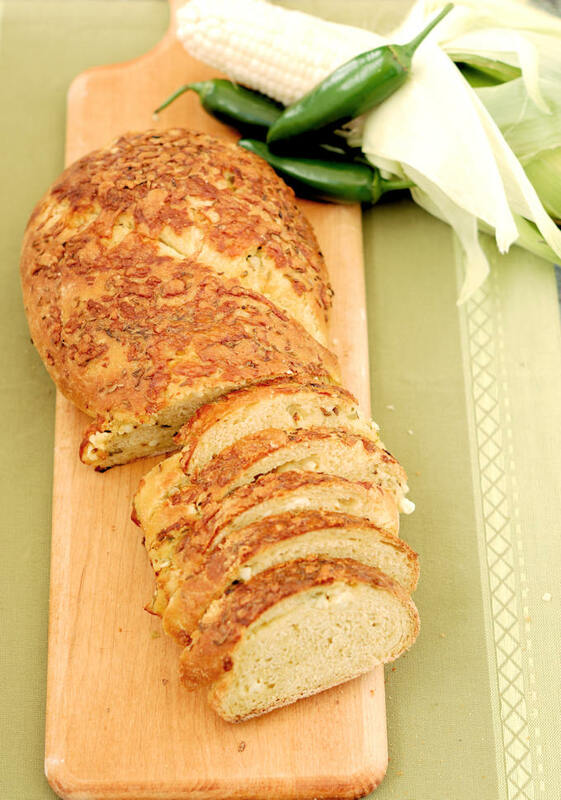 Adding cornmeal and onion puree to the dough makes a hearty loaf. 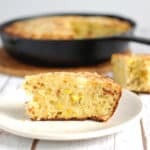 This is not a “cornbread” so much as a sourdough bread with corn added two ways, cornmeal and fresh corn. You can eat this bread without any condiments at all. With the corn, cheese and jalapeno filling, it’s a snack all by itself. I ate a slice of Jalapeno Sourdough Corn Bread with a beautiful summer tomato salad and it was a perfectly satisfying summer meal. 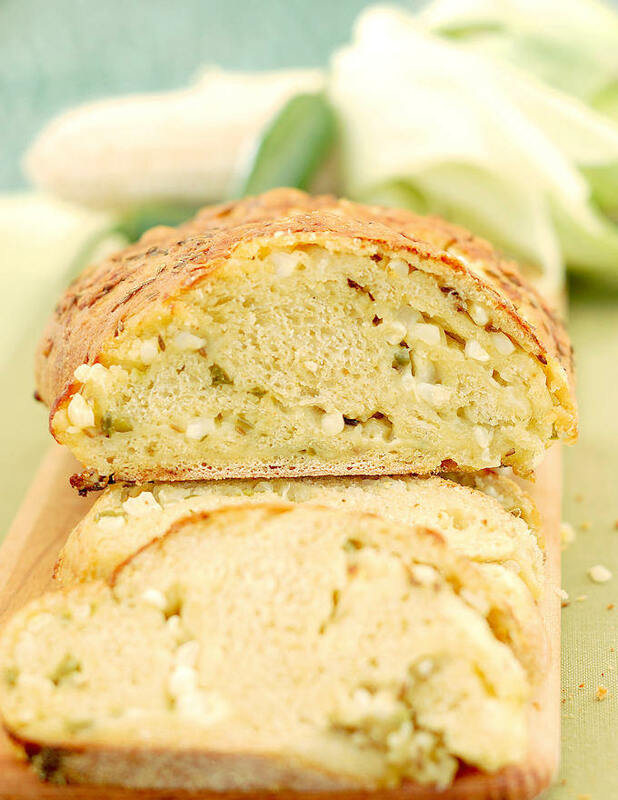 A hearty sourdough bread made with fresh corn, jalapeno peppers and cheese. It's a snack all by itself. You can mix the dough by hand starting with a wooden spoon and switching to your hands when the dough gets too thick to stir. Cut the log in 1/2 and flip the two ends so that there is a cut and uncut end on each side of the loaf. Use your fingers to pinch the cut ends closed. Meanwhile, preheat the oven to 375°F convection or 400°F regular, place a baking stone in the oven if you have one. 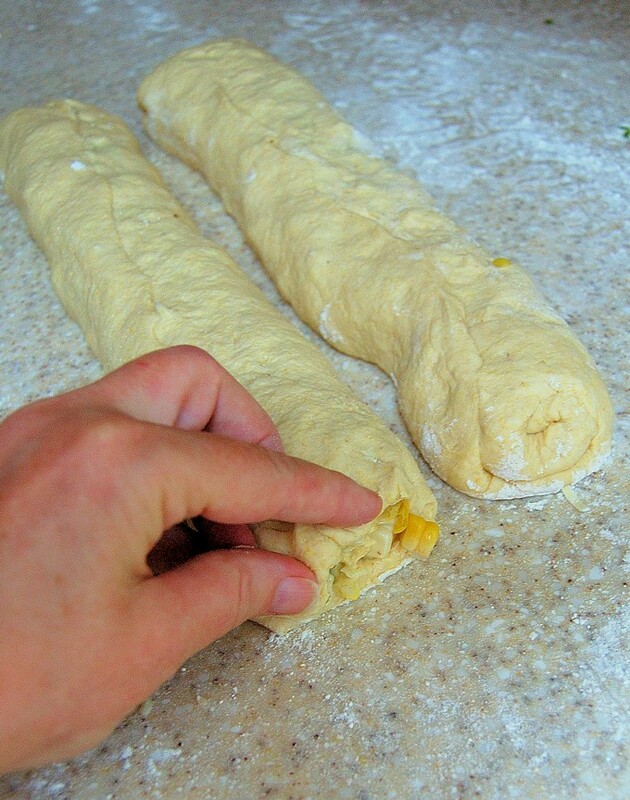 Slide the loaf onto the preheated baking stone (or slide the sheet pan into the oven). Bake until the loaf is nicely browned and sounds hollow when tapped on the bottom (or the center of the loaf reaches 200°F). If you don't have a sourdough starter, make a sponge with 1/2 cup of warm water, 1/2 cup of all purpose flour and 1/2 teaspoon of yeast. Combine the ingredients in a mixer bowl, cover and allow to rise for at least 1 hour or up to 12 hours. The longer you wait to use the sponge, the better the bread's flavor will be. 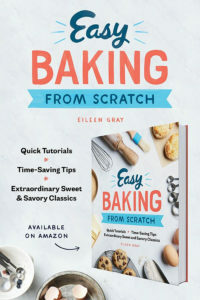 Proceed with the recipe, increasing the amount of yeast listed in the recipe to 1 teaspoon. I want to rip that bread out of the screen and chow down on it right now. This bread is just gorgeous and looks absolutely delicious. I wish we could share samples! That bread! It looks so moist and delicious! 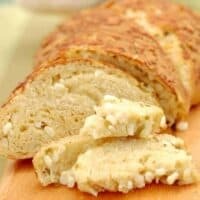 What an amazing recipe and a gorgeous bread. 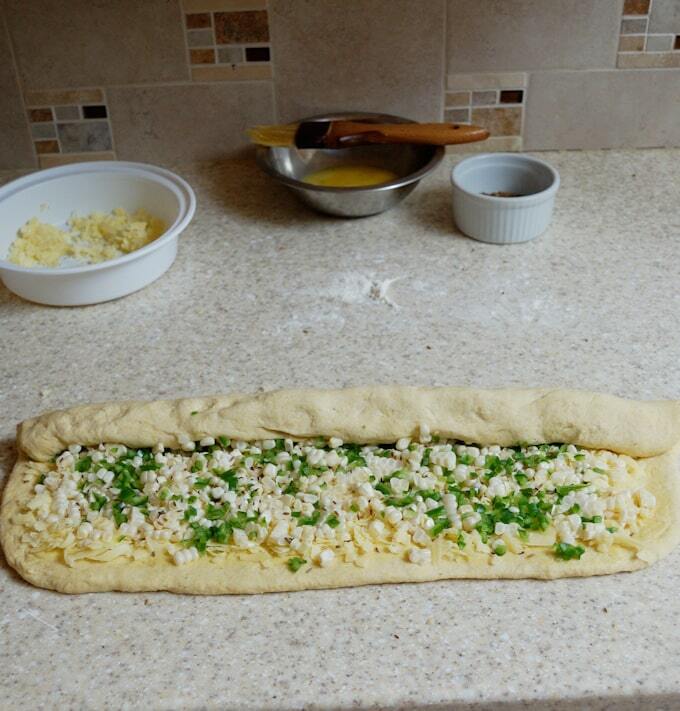 I love that you filled the dough rather then just mixing the extra ingredients in with it, Eileen. Turned out so pretty and I am sure, absolutely delicious! 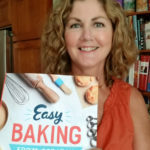 Isnt that a fabulously wonderful bread, Eileen :)) I havent got around to baking (or making ) sourdough bread (the starter sounds soooo complicated to me !! The bread simply looks so tempting. Love how you have used fresh white corn, Saved the recipe so I can experiment with my sourdough starter. Sourdough corn bread with all the stuffing sounds great. Amazing combination for sure! 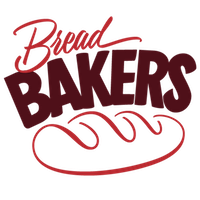 So glad to see a sourdough bread in the #BreadBakers breads this month! Looks delicious, love the use of cornmeal and corn kernels. That is a beautifully made bread. Love that twist — so pretty. It sounds very very flavorful too.